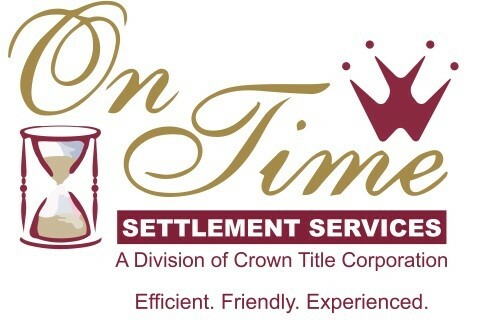 On Time Settlement Services, a division of Crown Title Corporation, is a full service, multi-state title company, with national reach and family-owned values. With over 25 years of experience, our goal is to move your transactions from contract to closing in the most economical and efficient way possible. We are known for our attention to detail, our commitment to exceptional service and our ability to get even the hardest transactions to the closing table - On time, every time!